Desk and Examination Copies: Academics, for desk/examination copies only please email us for information; as well as fees and forms for requesting examination copies when considering HarperCollins books for course adoption. See below for our Desk & Examination Copy Request Policy. 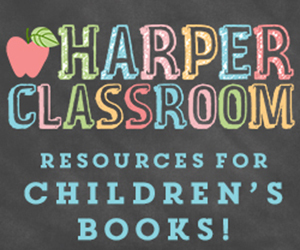 For reading guides, activities and classroom material for young readers visit www.harperclassroom.ca. Not all books published by HarperCollins Publisher are available from HarperCollins Canada. Please check to make certain that HarperCollins Canada is the publisher in Canada. Complimentary desk copies are available for instructors who adopt a HarperCollins title for course use. One desk copy is available for every 15 copies of each title ordered with a limit of 10 desk copies per adoption. Desk copies will not be shipped to instructors until after we are in receipt of a supporting order from your campus bookstore or another Canadian vendor. Please complete our Desk Copy Request Form, and fax it to us at 416-975-5223 or email it to us at [email protected]. Desk copies are shipped via UPS or Canada Post care of your institution. Desk copies cannot be sent to residences. Please allow 4 to 6 weeks for delivery. Please note that our HarperCollins Christian Publishing imprints Zondervan and Thomas Nelson have their own desk and examination copy policy. For a desk copy of a Zondervan title, please complete our online form. For a desk copy of a Thomas Nelson book, please complete our online form. Not all books published by HarperCollins in the United States are available from HarperCollins Canada. Please check to make certain that HarperCollins Canada is the publisher in Canada. Examination copies can be requested by instructors who are considering a HarperCollins title for their course. There is a limit of 4 titles per instructor per year. Paperback examination copies may be purchased with a 50% discount—plus sales tax. Hardcover examination copies are available at a 20% discount. Examination charges are non-refundable.Examination charges must be prepaid with a credit card (Visa or Mastercard only), cheque, or money order. Please complete our Exam Copy Request Form and fax it to us at 416-975-5223, indicating method of payment, or send it via email to [email protected] To request an examination copy over the phone, please call our Customer Service Department at 1-844-327-5757. Please have your credit card ready, along with the information indicated on our Exam Copy Request Form. Examination copies are shipped via UPS or Canada Post. Please allow 4 to 6 weeks for delivery. Prices may change without notice. Please note that our HarperCollins Christian Publishing imprints Zondervan and Thomas Nelson have their own desk and examination copy policy.